Obituary for Bernard A. Augustyniak | Kaczorowski Funeral Home, P.A. 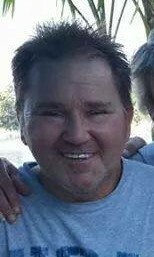 On November 27, 2018, BERNARD A. AUGUSTYNIAK beloved husband of Victoria Augustyniak, dear brother of Michael Augustyniak, loving uncle of Michael, Matthew , and Mark Augustyniak, son of the late Bernard & Rosalie Augustyniak. Bernard is also survived by other relatives and friends. Visiting hours at Kaczorowski Funeral Home, P.A., 1201 Dundalk Avenue on Monday from 5 until 8 P.M. Graveside service on Tuesday in Oak Lawn Cemetery at 11 A.M.